We return to regular Brewtown programming here with a young quartet that have made a decent impact in their first year of being part of the Burton music scene a la 5 Days of November. It’s-a-them, Mario’s Nicotine Parlour! Jack Mines (lead vocals, lead guitar), Rhys Knight (lead vocals, rhythm guitar), Jack Skellet (bass guitar) and James Chester (drums) have brought a solid punk alt rock sound that comes as an interesting addition aside the Indie and hard rock that is common in the scene. The story for MNP starts in May 2012, despite not officially starting to do gigs as a band for nearly a year. Mines and Knight had always been playing music as a duo either at open mics or at friend’s parties. The original line-up consisted of Mines and Knight in their usual roles with Luke Mousley on bass, Richard Bates on drums and Skellet as a deputy bass in case there was any hang-ups. They spent the good part of 2012 and early 2013 writing material and practising said material, as you do, getting it ready for their awaiting public. Well I should say they were waiting after their first music video was released! A video budget bigger than Texas, on a US map. During the Spring of 2013 is when they started performing live officially, in April when they performed at the Navigation Inn in Swadlincote and at the Victoria Inn in Derby supporting Get Cubs and Great Scott. In May they would perform at the Wetmore Whistle for the first time as well as The Royal Oak supporting Sam Garrett, Fantastik 4 and Lucida Scroll. In June, they would end up on the bill for Soundcheck’s Best of Burton event that took place at the National Brewery Centre run by Burton College students for their final course so their grades were in the band’s hands! Not really, but they were helped out by Star From Ivy, Phoenix Salvation and Fantastik 4 again. 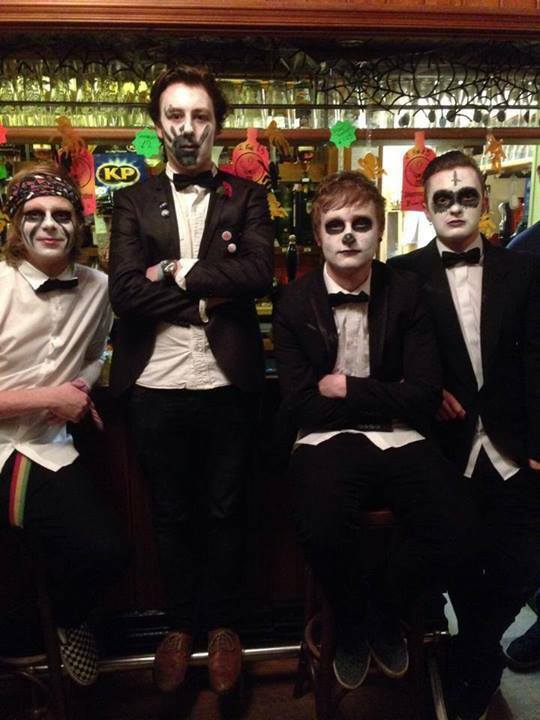 The next month they would return to the Whistle to support The Vibe‘s Eyes EP launch along with 5 Days of November and support Kitten Pyramid and Lady and the Tramp for the Moira Beer Festival. In August was a major break for them as they performed on the main stage at the Rosliston Forestry Centre for Gladefest which also featured Tilted Smile, Wildfire Folk and The Roz Bruce Infusion. Knight would pull double duty that night (no typing error there) as he would also play percussion in folk band Green Fortune with Ma and Pa Knight, Kay and Mark. 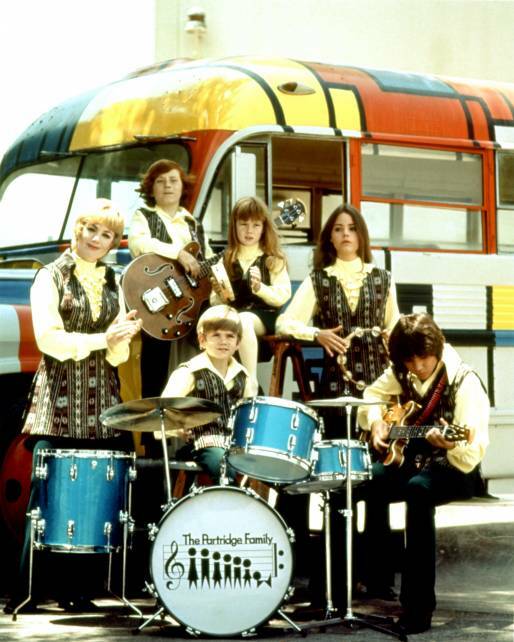 Though nobody does a family band like the Partridges! October and November would bring them a line-up change with Chester and Skellet replacing Bates and Mousley on drums and bass respectively and a number of big gigs including a return to both the Glade for a Food and Drink Fair/Farmer’s Market, the Victoria Inn supporting Nottingham-based Indie rock act The Steady Sound and back to the Whistle once again, this time for their OWN EP launch! Done on Hallow’s Boxing Day (Nov 1st), they launched their first EP Proof of Identity (produced by Dan Gallagher, yes him again!) and because it was the day after Halloween, they all daubed black and white makeup on their faces and that explains the first picture so…yeah there’s that. But does that explain this genius editing job? Probably! The night after their EP launch, they were down to Kidderminster and pretty soon they were performing in Leicester, Derby, Sheffield and wherever else wanted their hands on them! In between these gigs going into 2014, a new demo track Organism was released in December and have attempted to be a part of the 2014 YNot Festival. Go for it! Time for the actual music! 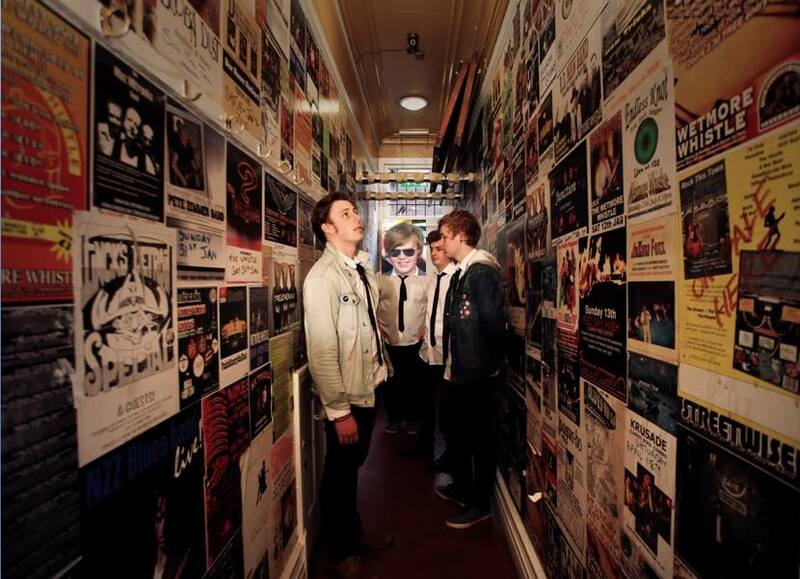 Though they have only been around for a short time, behind the scenes and before officially performing live, their music has made a connection with a good number in the Brewtown scene as well as helping them go down a storm in the outer reaches of the country. Their music is a hybrid of alternative, indie and punk which seems like a no brainer of styles especially from a rock band their age in this generation or music. Still, they own their music in both instrumentals and vocals with Mines and Knight showing some gruff and cig-ragged singing on their tracks. Speaking of, let’s look at two I recommend. The first is the third track off their Proof of Identity EP, Time Will Wait. It starts off like a grunge track with the slow start and rough yet restrained vocals. But at about the 1:40 mark, it kicks into a higher gear like it literally should be a song that you speed up to along the highway while listening on the car radio. Definitely one to check out if you’re looking for some really up tempo and gritty music, coming out of Burton-on-Trent at least! The second is, oddly enough, the second track from the EP, Crumpton Blues which sounds like something a depressed Chippy Minton would sing, if he could speak of course! Although there’s Blues in the title, you wouldn’t take that from the song itself as it is an up tempo, dare I say, jolly sing-along track. Oh it still keeps the rough vocals and dirty rock sound, but it is a pretty catchy tune itself. I’m on a freight train and I’m just singing again oh! Granted there’s a na-na-na sing-along refrain to step into give us a chorus as well as some trumpets thrown in which Bates himself is known for playing, but it isn’t without it’s slightly depressing moments. It’s a good mix of the downers and the uppers (don’t take that mix literally kids, drugs are bad mkay? ), but that’s just me. As always, see for yourself. 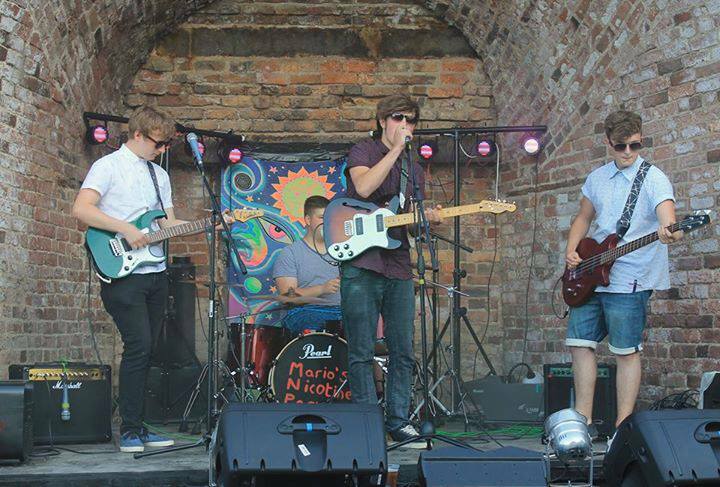 Mario’s Nicotine Parlour are ones to watch out for, in terms of newer and younger acts. They show great promise in both their music and entertainment value and are being received well wherever else they go. If they’re round your way, drop by their parlour and smoke the night away, I mean put on your Nicorette patches! I wouldn’t want to upset anyone would I? Still though, this has been Brewtown Music serving you another fine brew of Midlands tunes. 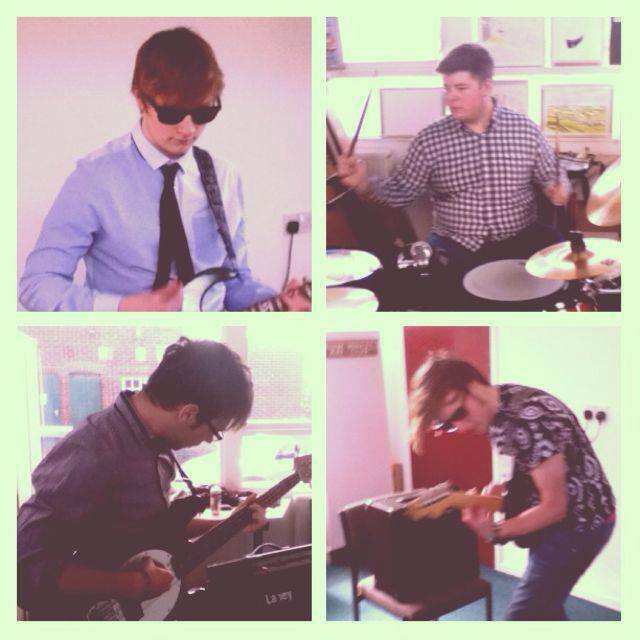 This entry was posted in Local Music Profiles and tagged Bates, Burton on Trent, Chester, Dan Gallagher, EP, Green Fortune, Identity, Indie, Knight, Mario, Mines, Nicotine, Parlour, Proof, Texas, Time Will Wait, YNot. Bookmark the permalink.